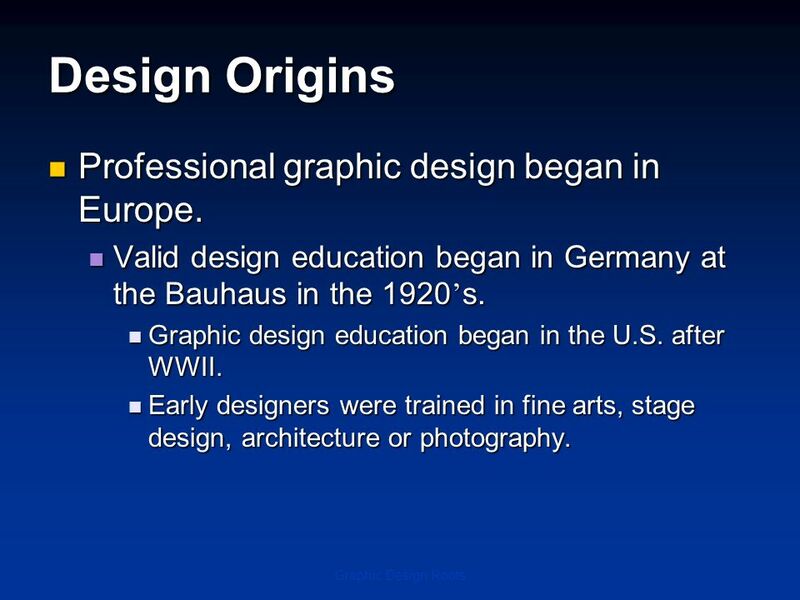 4 Design Origins Professional graphic design began in Europe. 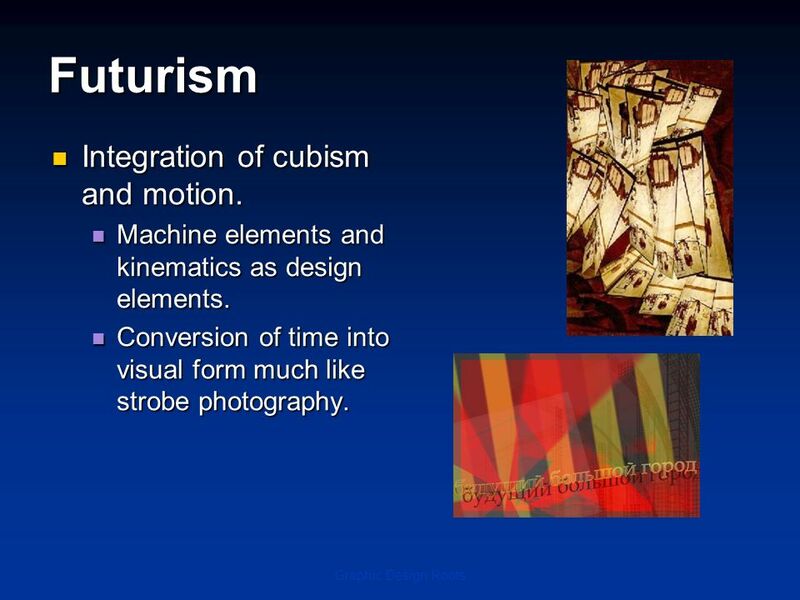 9 Futurism Integration of cubism and motion. 11 Surrealism Illustrative images derived from the unconscious. 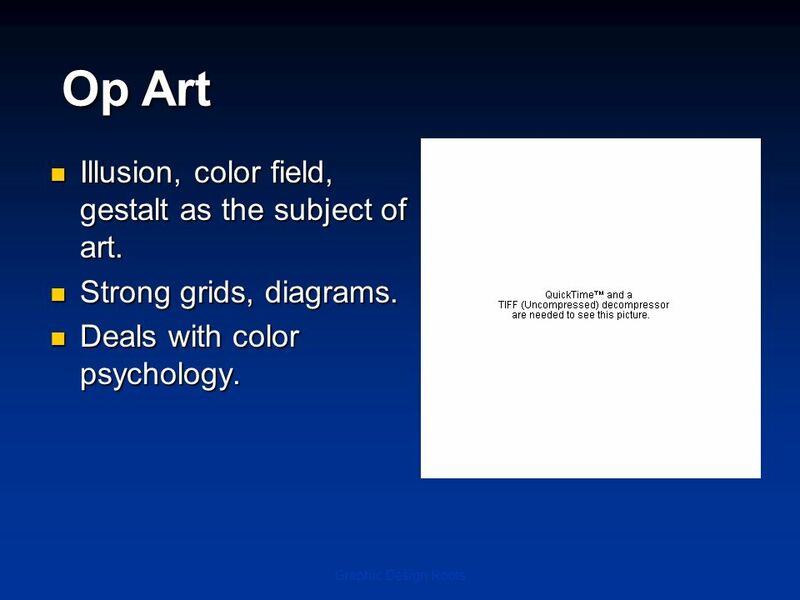 19 Op Art Illusion, color field, gestalt as the subject of art. 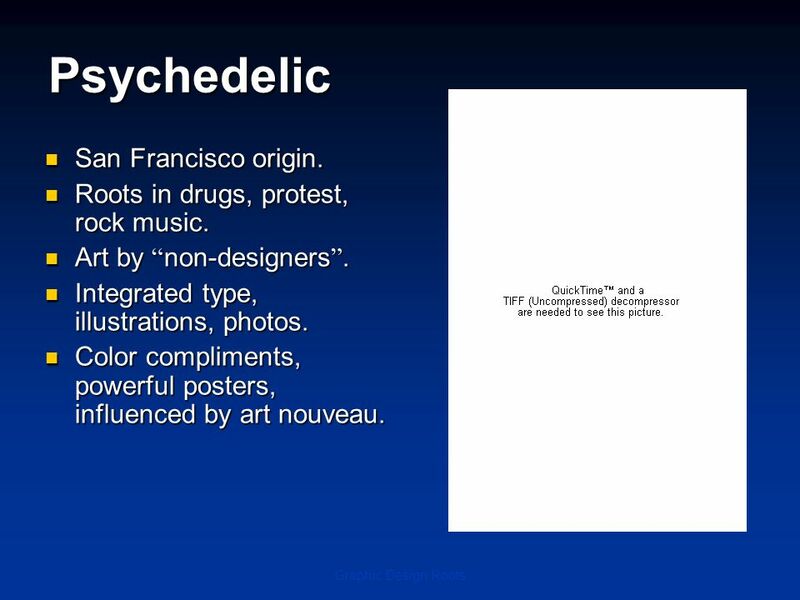 20 Psychedelic San Francisco origin. Roots in drugs, protest, rock music. 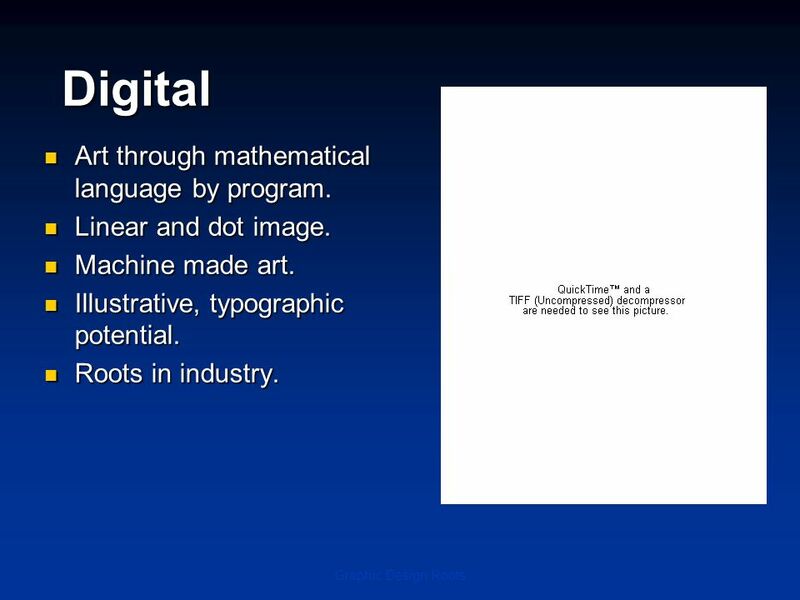 21 Digital Art through mathematical language by program. 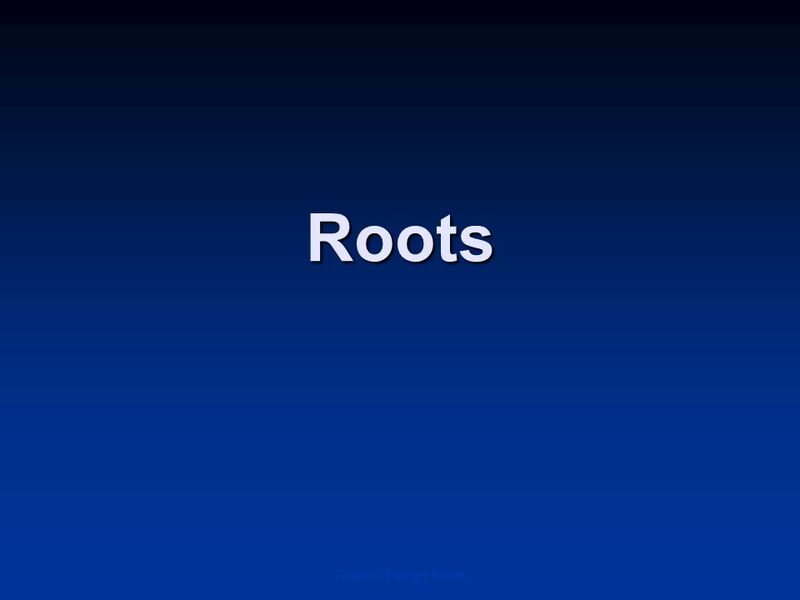 Download ppt "Roots Graphic Design Roots." Inter-War Culture. 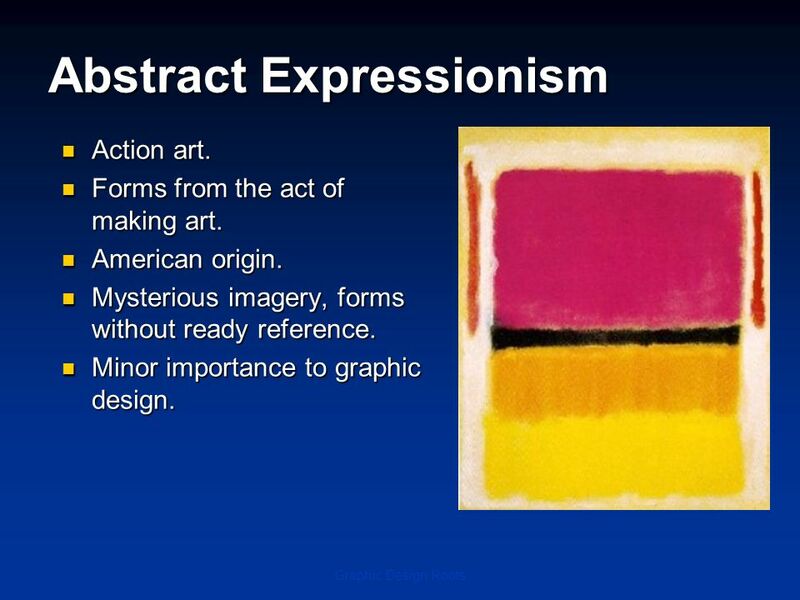 Expressionism is a style in which the intention is not to reproduce a subject accurately, but instead to portray it in such a way as. PAUL KLEE SURREALIST PAINTER. KLEE’S PATH TO BECOMING AN ARTIST Born in Switzerland in Loved music and dreamed of becoming a musician. Often drew. 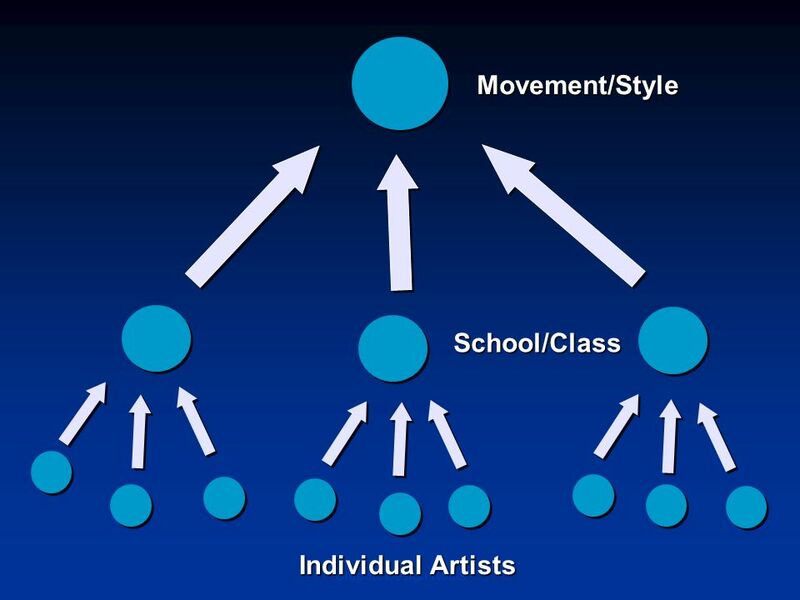 ART STYLE & MOVEMENT TERMS. 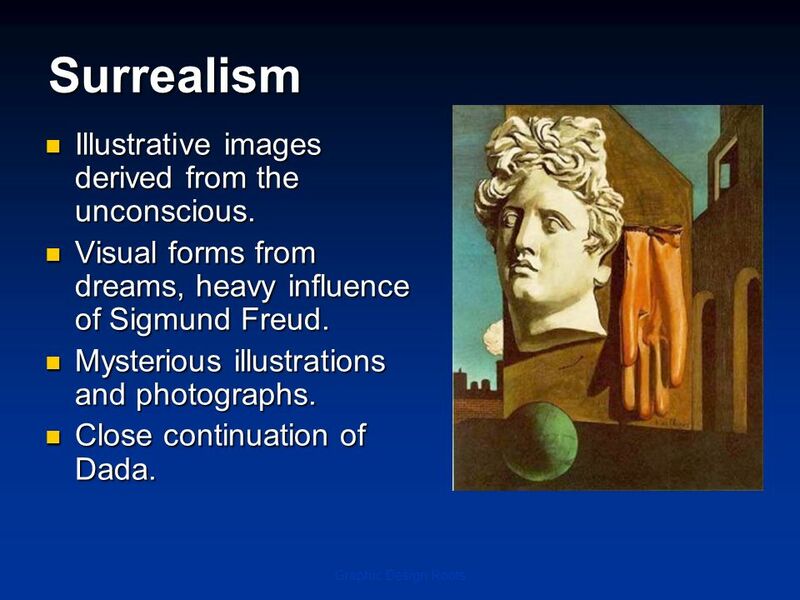 REALISM The realistic and natural representation of people, places, and/or things in a work of art. Typically involved some. 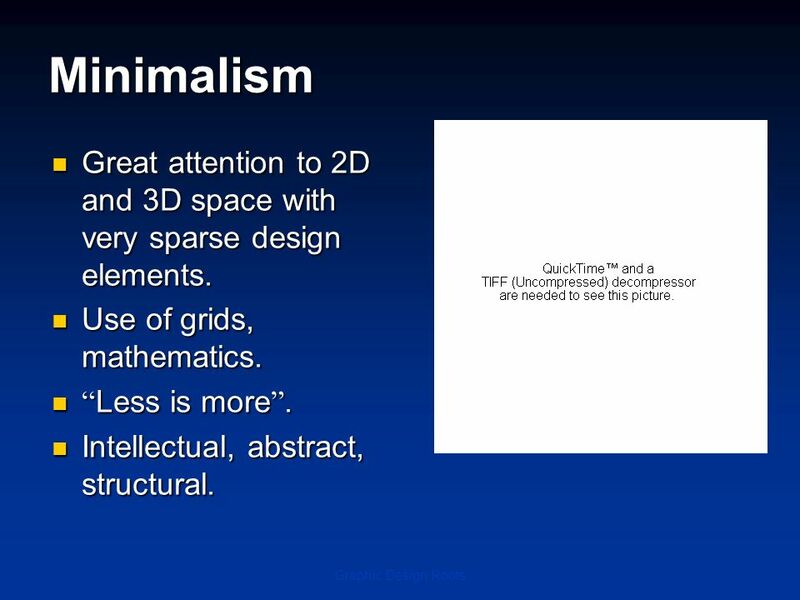 Evaluation in Digital Media Graphics Basic Concepts. A VISUAL SOLUTION TO AN EDITORIAL PROBLEM. 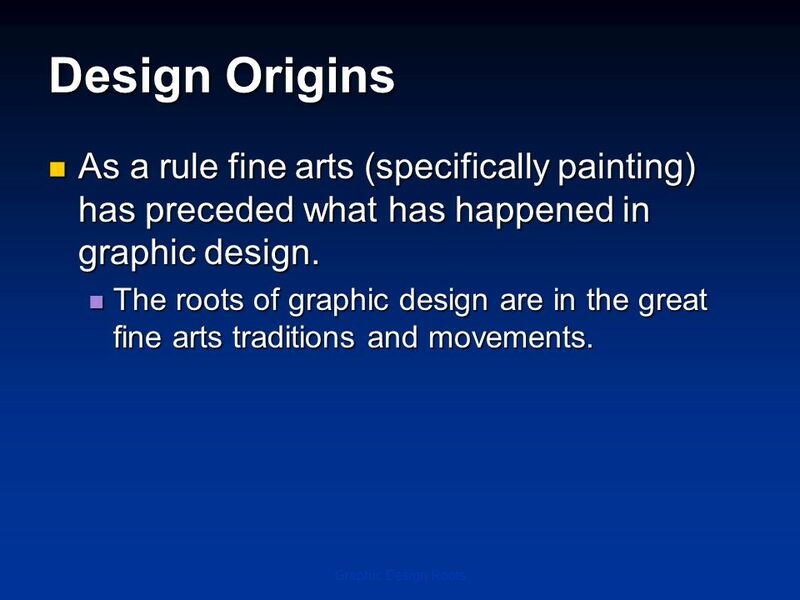 Graphic design history. POP ART! 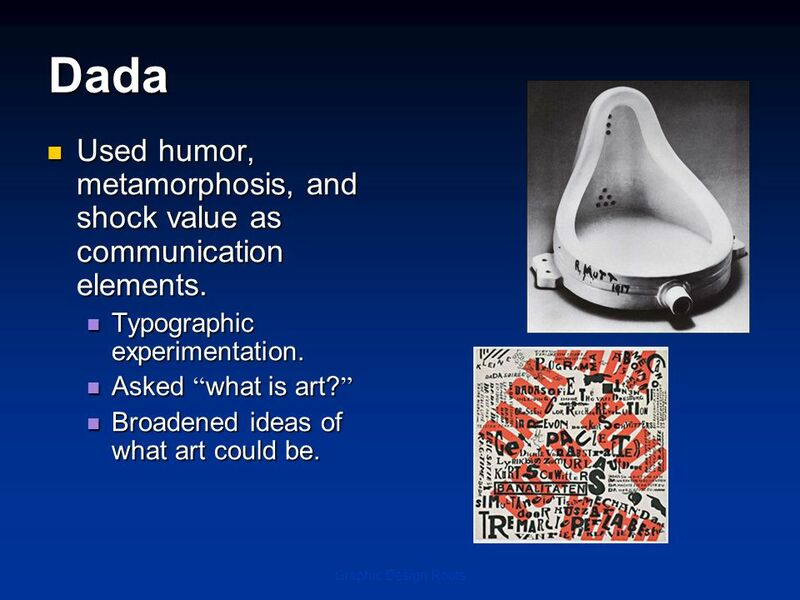 POP art is a visual artistic movement that emerged in the mid 1950s in Britain and the United States. 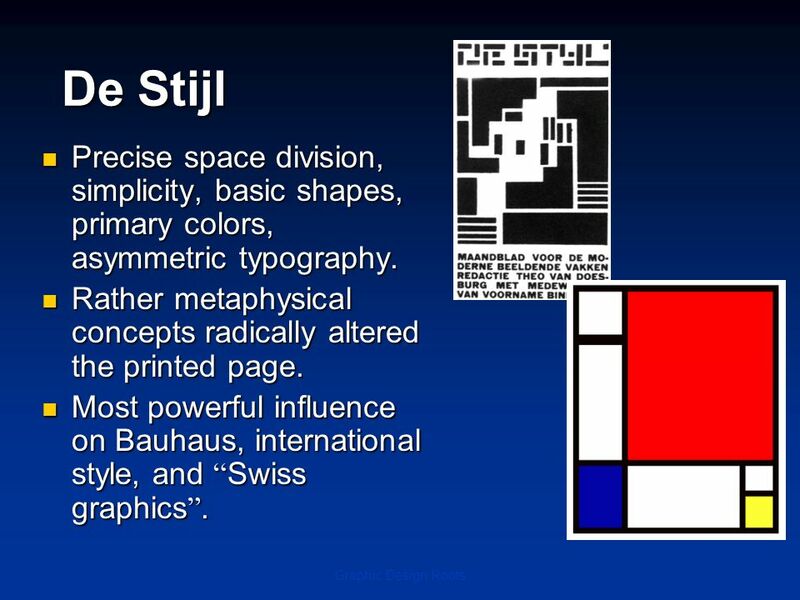 Pop art, like pop music aimed to employ. 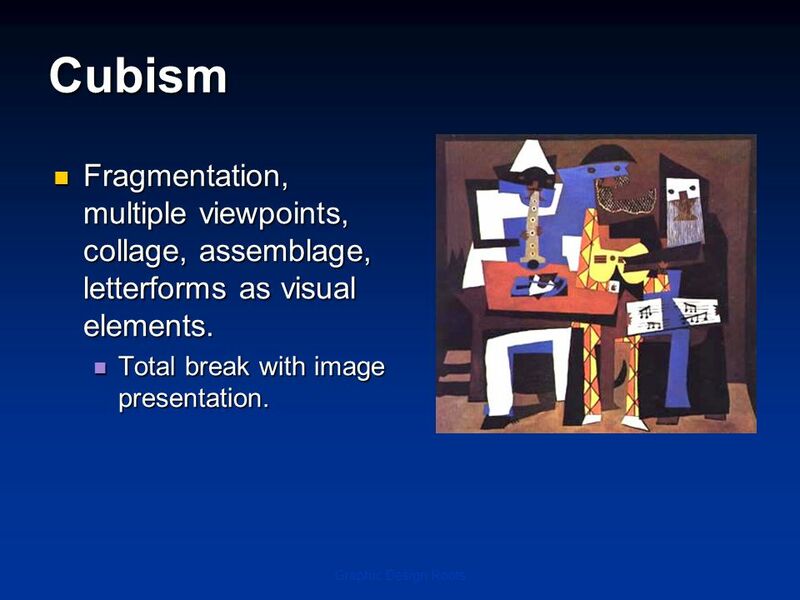 Welcome to Ms. Urioste’s Painting Class Modern Art Movements. 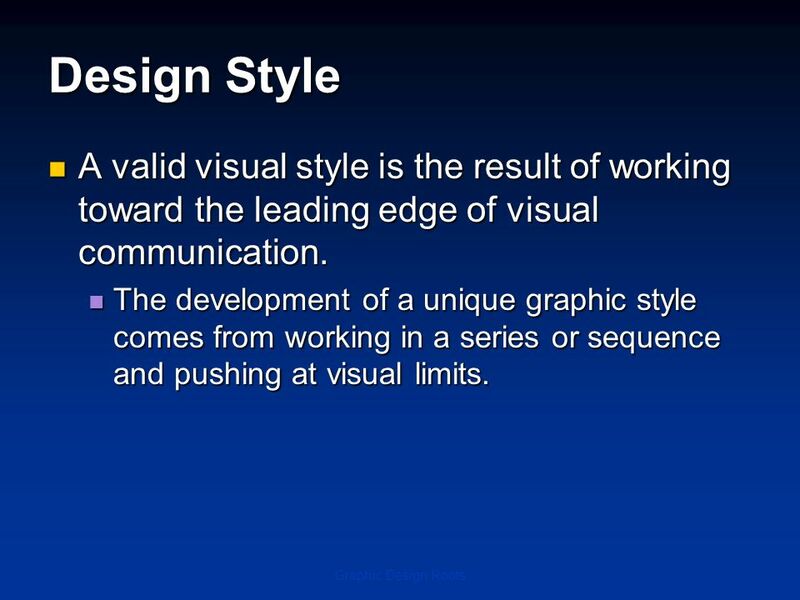 Principles of Visual Design 2720 Principles of Visual Design LCC 2720 Instructor: Brian Schrank Intro to Typography. POP art. 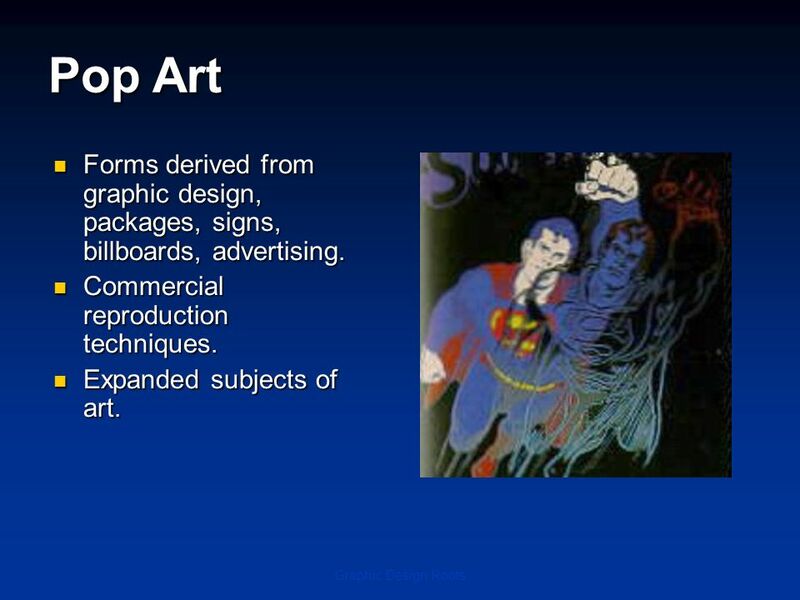 Slide 2 POP art Pop art is a visual art movement that emerged in the mid 1950s in Britain and in the United States. Pop art is an art movement. 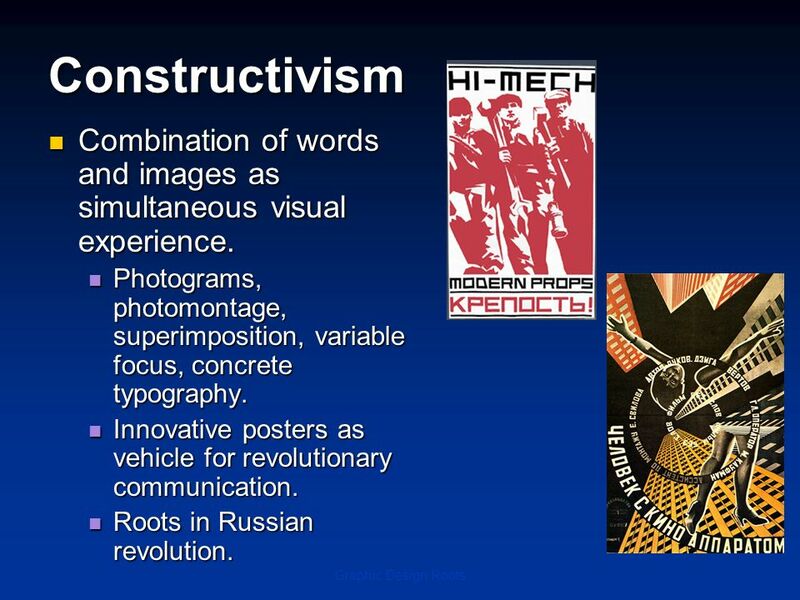 HISTORY DESIGN VictorianArt Nouveau Early ModernExpressionism Futurism Constructivism Bauhaus Art Deco DadaLate Modern American PunkDigital New Simplicity. 1700s to Present Day.   This artistic movement took place in the 17 th and early 18 th century. A typical characteristic is that the subjects come out. INTRO TO THE CLASS Arts, Audio and Video Technology and Communications. 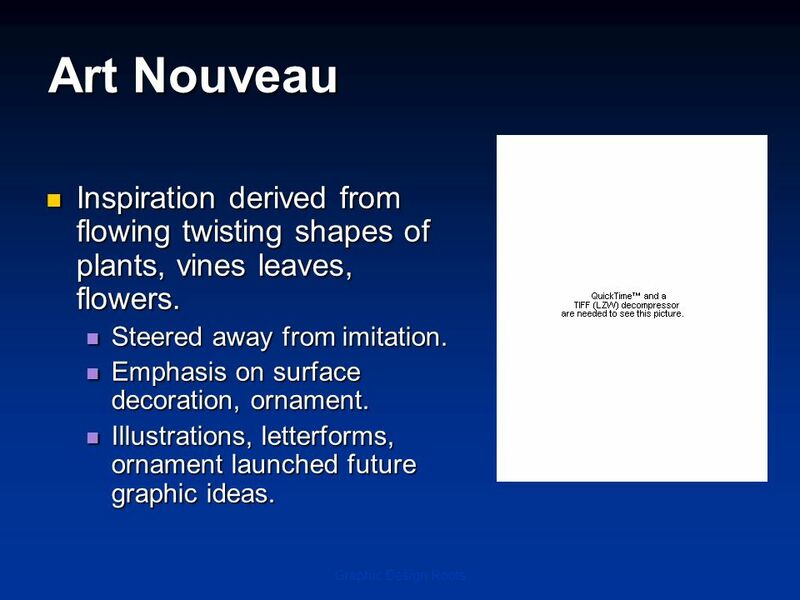 ART NOUVEAU: Art Nouveau was inspired by natural elements, structures,and curvy lines, for example plants and flowy hair styles. 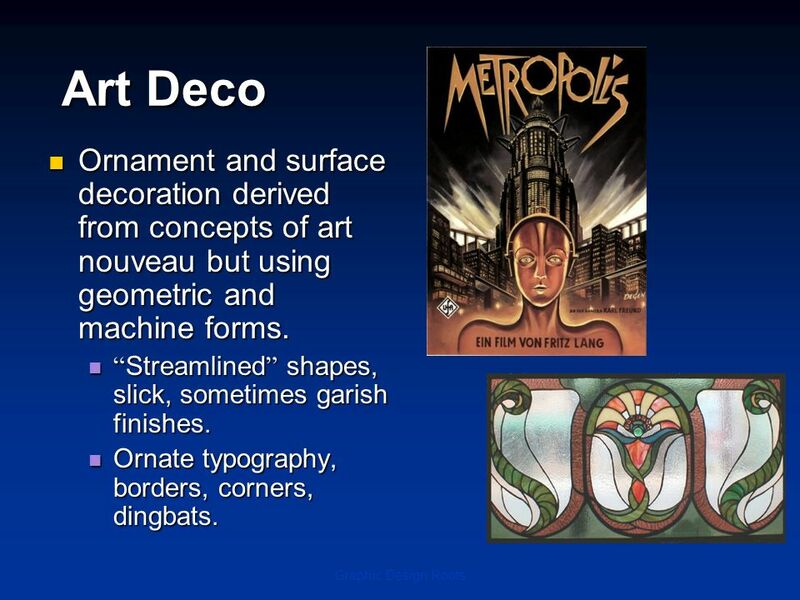 When artists would use. 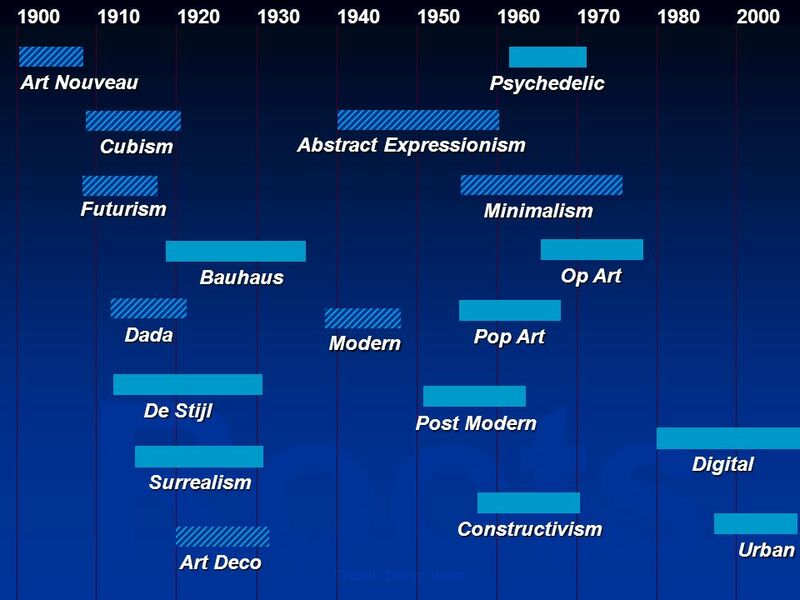 What interest was NOT common to the early twentieth century art movements in Europe? 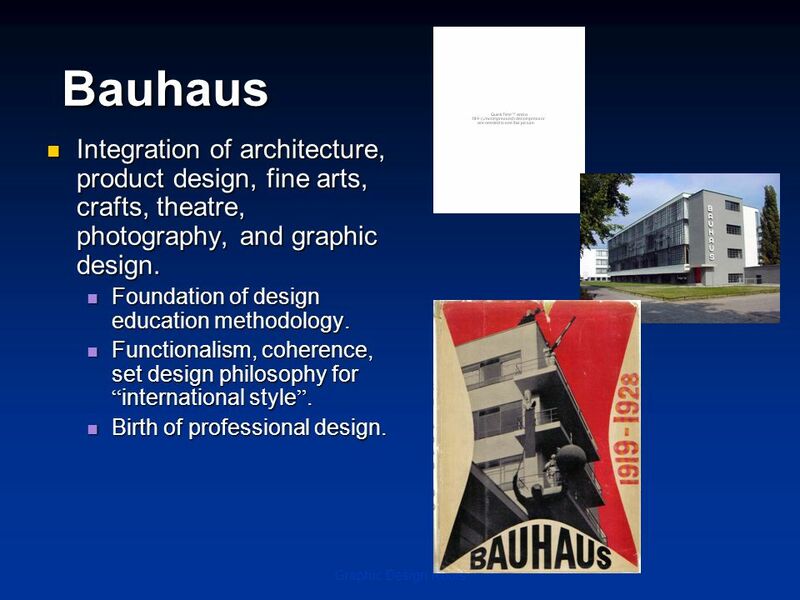 (a) a tendency toward abstraction (b) focus on the formal elements.